Set on an impressively sized block with plenty of space to extend the homes footprint and transform into an inspired family residence, this home is presented in comfortable order and holds ample scope for a creative update or complete redesign to inject modern appeal. A fantastic find that places every convenience at your fingertips, it enjoys bus transport at the door and is located neatly between Westfield Kotara and Charlestown Square and their shopping and entertainments hubs, with quality schools and leafy parks all within easy reach. * Solid weatherboard and tile home with great street appeal. * Outstanding scope for a modern makeover to suit your style. * Neat eat-in kitchen appointed with gas cooktop. * Large front living room featuring a brick-built fireplace. * Two double bedrooms plus rear sunroom for floorplan flexibility. * Side driveway access to a freestanding single garage and carport. 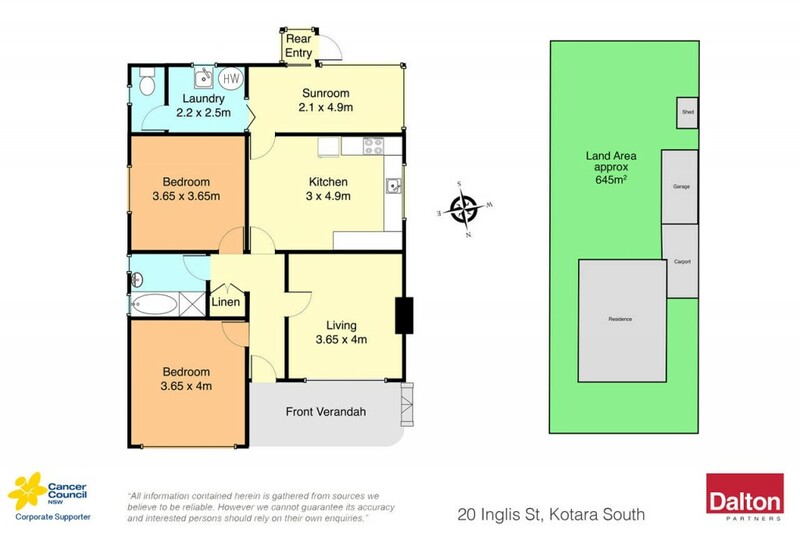 * Level backyard with room for extension, pool or alfresco retreat (STCA). * A terrific opportunity in a highly sought after family suburb. * Pest & Building report available upon request.